Many older homes are drafty and prone to having a room that is never cold or warm enough when it needs to be. Fortunately, there’s an easy solution that doesn’t require installing new ductwork to accommodate an HVAC system. A ductless system keeps residents comfortable year-round when installed by professional heating and cooling specialists like the team at New England Energy Concepts in North Dighton, MA. As a Mitsubishi Electric Diamond Contractor, New England Energy Concepts is specially trained and certified to install, service, and repair Mitsubishi Electric ductless systems. They recommend Mitsubishi’s Electric’s Zoned Comfort Solution™ to keep all rooms in a house at a consistent temperature, and offer this information as a guide to those interested in learning more. Why Install a Ductless System? Central heating and air requires extensive installation that not all homes can accommodate. Ductwork must be installed to support central air, but many older houses don’t have a structure that easily allows this. Too often, older houses have to rely on window units and furnaces instead, which don’t always keep certain rooms comfortable. 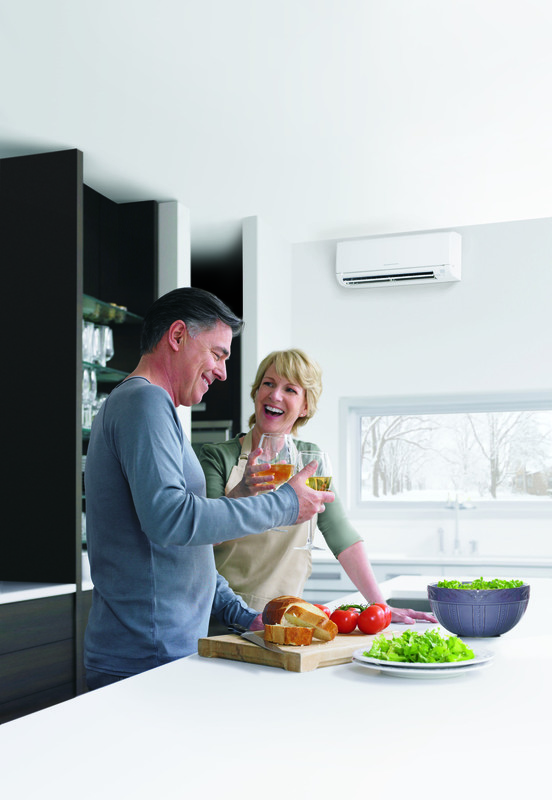 Ductless systems, such as Mitsubishi’s Electric’s Zoned Comfort Solution, can be installed easily by cutting a small opening in each room to allow indoor units to be connected with the outdoor unit. Indoor units can be mounted on the wall or ceiling of each room, allowing users to control the temperature settings of each individual room. What Benefits Do Ductless Systems Offer? Installing a Mitsubishi’s Electric’s Zoned Comfort Solution offers many advantages. These include a more energy-efficient heating and cooling system, as well as one that is quieter thanks to an advanced design without any ductwork. Another advantage is that ductless systems allow the settings in each room to be easily controlled, and uncomfortable rooms can be made the consistent temperature of your choosing. By installing a ductless system, you won’t have to be distracted by noisy operation or a clunky design to stay comfortable. Units blend into the rooms they’re installed in and make each room comfortable for its inhabitant. Call New England Energy Concepts at (508) 509-2711 to request a consultation, or visit them online for a complete list of their services.